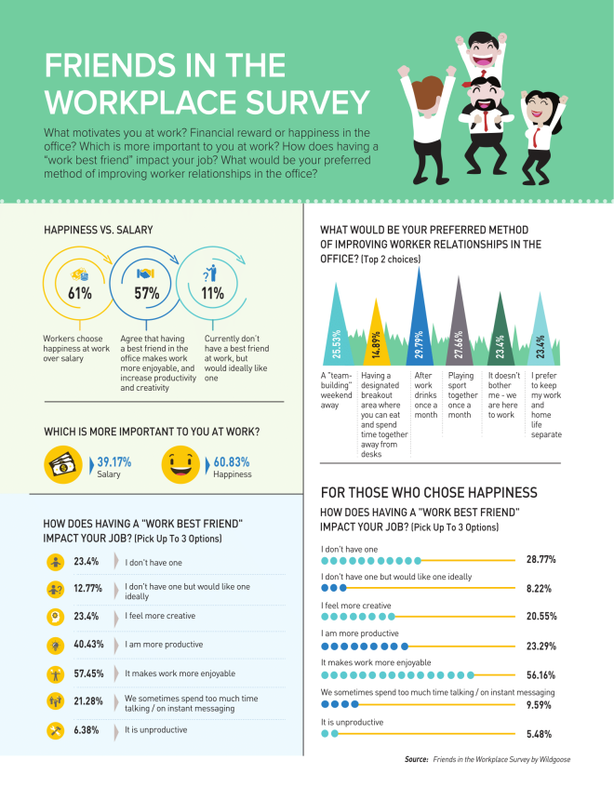 Here is what motivates an employee at work? 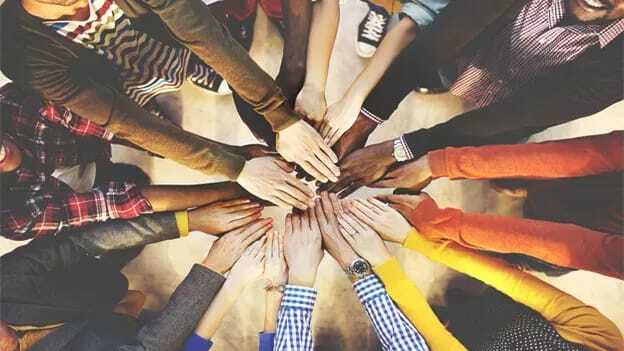 Through this survey, Wildgoose wanted to find out whether friendships in the workplace were as highly regarded as they used to be and to understand what employees really want from their office relationships. The aim of this survey was to find that does having a friend in the office increase work productivity. Another objective was to find out the reactions of those people who do not have a friend in office and whether they want to have one or not. 57% of respondents said it makes work more enjoyable with 32% saying they were more productive and 22% feeling more creative when having a good friend around in the office.